Evening: 2.00 PM to 9.00 PM. 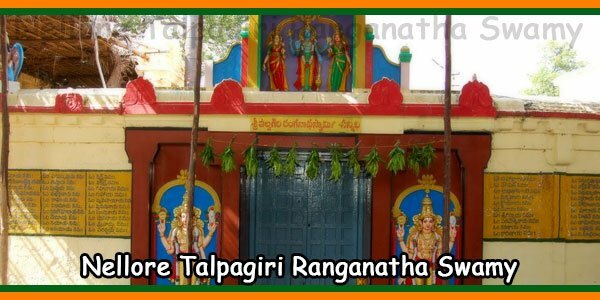 Historical Talpagiri Ranganadha Swamy temple, located on the southern banks of the Pennar river, is one among several attractions for tourists visiting Vikrama Simhapuri, the ancient name for Nellore. Nellore is located 494 km from Hyderabad and is well connected by road, rail and air. With regards to stay, there are hotels to suit the pocket of all sections. Pilgrims from different parts of South India make a beeline to this temple during the annual brahmotsavam held between March and April. The ancient temple built during the rule of Rajaraja Narendra and king Kulothunga Chola in the 12th century, is also known as Uttara Srirangam. Similar to Srirangam in Tamil Nadu, the presiding deity, Sri Ranganadha Swamy is in a reclining posture. 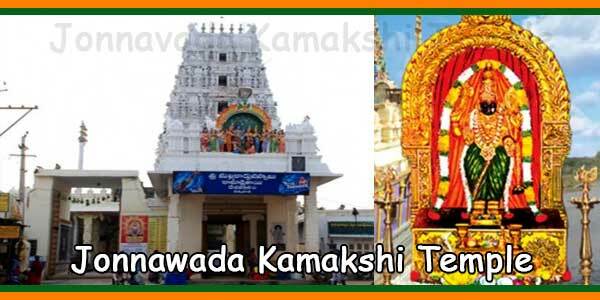 In addition, the deity also faces west unlike in any other Hindu temples. Old inscriptions in Tamil refer to the temple as Tirupparkadal (sea of milk) and the deity as Pallikondaperumal (deity in sleeping posture). The unique feature of the temple is the Addala Mandapam or the hall of mirrors. The hall is decorated with costly Belgian mirrors. Hundreds of images of the deity are reflected in them when the idols are placed on an elevated seat in the middle of the hall on special days. It is an exquisite and breathtaking view. Devotees also love the painting of Lord Krishna on the ceiling of the mandapam. If eight people stand at the eight corners of the mandapam and look at the painting, each one can feel the Lord’s eyes on him or her. There are marvellous Tanjore-style paintings of the 10 incarnations of Lord Vishnu in the hall. The gold border to the paintings shine when light falls on them. 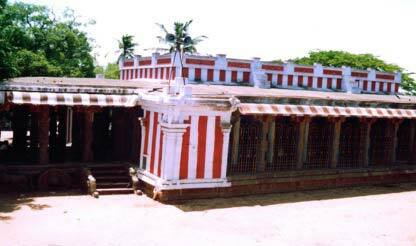 The mandapam was built by a staunch devotee of the lord, Muppirala Chinna Narasimha Charyulu, during the beginning of this century. 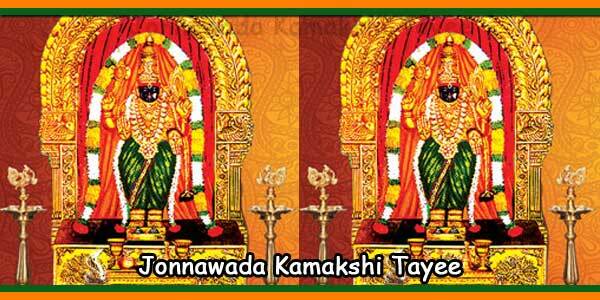 He also presented a five-metre-long silk cloth with Vishnu Sahasranamam woven with gold zari. While 750 namams are weaved on this cloth, the remaining have been woven on the anga vasthram, which covers the deity. 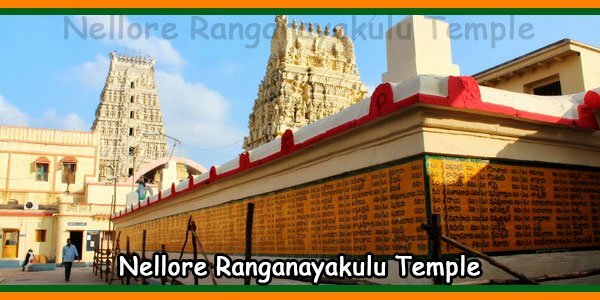 The temple is marked by a huge, 96-foot-tall Galigopuram with seven gold Kalasams on top and reminds one of the ancient temples of Tamil Nadu. Another attraction for visitors is a small structure on the banks of the Pennar river, where the second among the trinity of poets, Mahakavi Tikkanna penned the Mahabharatam. The place just not only relates to this legend but connects the age old mythological tales of Ramayana and Mahabharata. 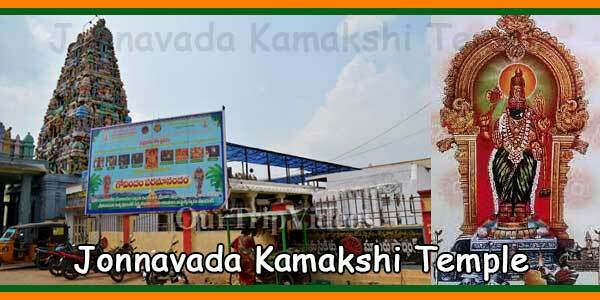 It is quoted in “Aranya Knadam” of Ramayana that the Lord Sri Rama visited this place as part of his sojourn. There are caves here named as “Aswathama Caves”, it is believed that Aswathama still lives here as a immortal being as he got into penance for absolving his sins following a curse from Lord Sri Krishna for his actions of killing the sons of Draupadi, consort of Pandavas, clandestinely in the battlefield of Mahabharata. Other important places and beliefs at the temple premises. Santhana Vriksha – A tree which is believed to grant the boon of begetting children for childless couples is near to the Adi Lakshmi Temple. The women devotees tear a corner of the saree and put their offerings in the piece of cloth and tie it as a swing to the tree. One could also see an underground tunnel beneath tree which once was used by sages as a path to come to the temple and offer their prayers. Kondi Kasuli Hundi – It is meant that those who give their offerings at this place can get rid of venomous bites of Scorpions and Snakes. Lord Rangantha’s consort Goddess Ranganayaki. 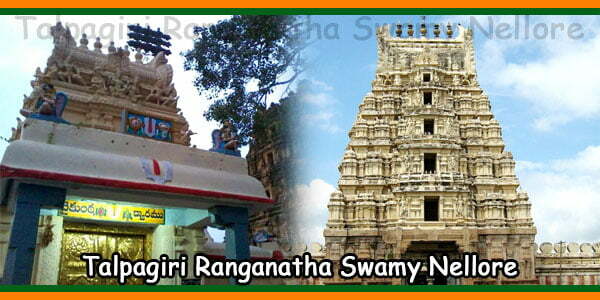 Temple is just 3.2 Kilometers from Nellore Town. Frequent Direct buses are available from Tirupati and Chennai to Nellore.